Rudy’s Dog Park is hosting its Second annual Dash for the Dogs event, a 5K run/walk with dogs, from 8 a.m. to noon Saturday, Sept. 20. Dogs are encouraged and welcomed, but are not required in order to participate. The event also includes craft and vendor booths and agility and police dog demonstrations for those not participating in the run/walk. Dash for the Dogs will begin and end at Rudy’s Dog Park at 9 a.m., with a cost of $15 for individuals pre-registering and $20 the day of the event. The deadline to pre-register is 11:59 a.m. Sept. 16 at 11:59 p.m. Registration will be on-site from 8 a.m. to 8:45 a.m. Saturday with free t-shirts to the first 100 registrants for the 5k and free bandannas for the first 50 dogs. The 5k run/walk is a chip timed event, with dogs also receiving their own chip. Prizes will be awarded for first, second and third overall male/female and first, second and third male/female age group. Dog prizes will also be given. All dogs must be on a leash, be current on rabies vaccine and have a dog ID on the day of the event. Pre-registration is available here: www.getmeregistered.com/dashforthedogs. For more information contact Rudy’s Dog Park at P.O. Box 788, Winona Lake, IN 46590. Telephone: (574) 267-8511. 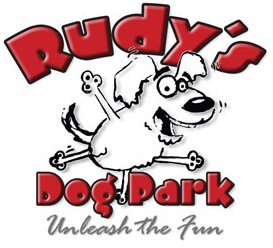 Website: http://www.rudysdogpark.org, E-mail: [email protected] Also find Rudy’s Dog Park on Facebook.